Blog posted by: Charlie Edwards, 25 February 2019 – Categories: A great place to work, Health & Wellbeing. Eating disorders do not discriminate on grounds of age, gender or background. Anyone can suffer from this serious mental illness, which the experts say is not about food but a way of coping or feeling in control. Megan Phelps from Cabinet Office HR has shared her personal story of living with anorexia to stand up for the estimated 1.25 million people in the UK who suffer from eating disorders, and the many more who have not recognised their illness yet. 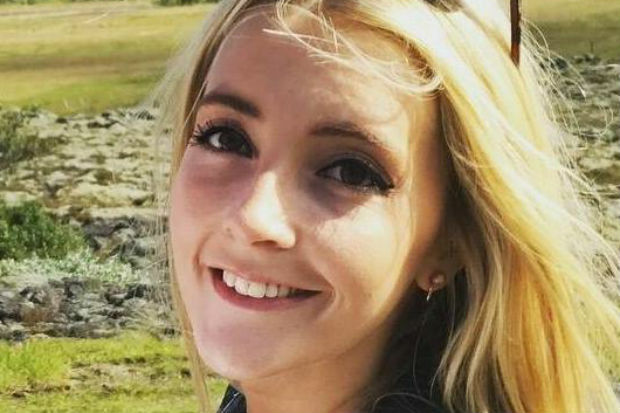 Anorexia has the highest mortality rate of any psychological illness so I hope Megan’s story inspires those who are suffering to access the support they need to recover and enjoy life. My name is Megan Phelps. I am 28 years old. I have a fantastic mother, father and younger sister, who are all alive and well, and an incredibly supportive extended family. I have a wonderful group of friends. I went to two brilliant schools. I got to experience going to university and have two degrees. I have a job that I love and am passionate about, and a wonderful team to work with. I’m in a new and exciting relationship. I’ve had the opportunity to live all over the UK and to travel to Africa, America, Asia and all over Europe. I’ve climbed huge mountains and run half-marathons. I practise yoga, can play the piano, clarinet and sing. In the future I want to have a family. I want to get married. I want to make even more of a success of my career. I want to travel the world. And I also have anorexia. Anorexia is different to every other part of my world because it is invisible to everyone who meets me. For most of you, on the outside, I’m the successful girl with the pretty perfect life I’ve just described. But inside, I have lived with anorexia – or ‘Annie’, as she is more familiarly known to me and my therapist – for many years. For years I was ashamed. Trying to fight anorexia alone, while the constant fear of someone finding out meant the cycle of the disease kept on going. Trying to be ‘normal’ on the outside but on the inside believing that would be all people saw if I breathed a word of its existence, fearful that people would just tell me to ‘eat more’ and the problem would be solved. It is estimated that there are over 1.6 million people suffering from diagnosed or undiagnosed eating disorders in the UK. But the truth is, there will be thousands who don’t feel able to reach out for support. People who feel like they aren’t sick enough, don’t look like they have an eating disorder, or don’t fit the eating disorder mould. You do not have to be underweight to have an eating disorder. I was always quite thin, but not so painfully thin that people would think I had a ‘serious problem’. Having an eating disorder is not solely about food. For me it is emotional. I started to restrict my eating because I wanted to find a sense of control when I felt other parts of my life were out of control – it was never purely about being the thinnest girl in the room. I sought help because I was fed up of the voice in my head controlling my life. Going into hospital and having intensive treatment was the hardest thing I’ve ever done, accepting that I needed help. But I came out the other side with a huge sense of determination and new belief that saying ‘yes’ to life would be liberating. I still have difficult days where it gets the better of me. But because I spoke out and sought help, I now have a support network around me to help me through it, both in and out of work. Talking about it openly and calling out the warning signs means I’m able to get through the hard days and I allow myself to achieve all the things I want to. I am determined to not let it stop me achieve my goals in life. And it doesn’t define me. Anorexia has taught me that I have huge amounts of willpower, courage, determination, the ability to cope in a crisis, and that I am very passionate. It has taught me that I’m very stubborn, resolute and a bit obsessive. But none of those qualities are because of the illness – my parents will tell you I’ve always been very stubborn! So my message during Eating Disorders Awareness Week to anyone silently suffering is to speak out. Eating disorders are the loneliest illnesses, so if you can find the courage to ask for help, people will be there to guide you through it. To find out more about Eating Disorders Awareness Week and access support for yourself or someone you know check the Beat Eating Disorders site.